Preliminary ProceduresIf equipped with AWD, remove the right side catalytic converter. Refer toCatalytic Converter Replacement - Right Side.Raise and support the vehicle. Refer toLifting and Jacking the Vehicle. 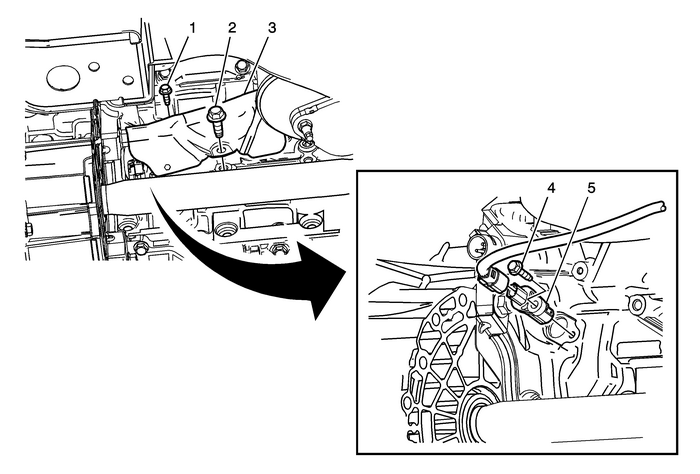 Disconnect the crankshaft position sensor harness connector.